Brafton has a storied history. Over the years, what started out as a news marketing shop has blossomed into a full-service agency where strategies center around content. Much of this has been fueled by the internet’s broadening capacity for high-quality, multimedia content. Some of this is driven by one of our core tenets – that great content deserves promotion. 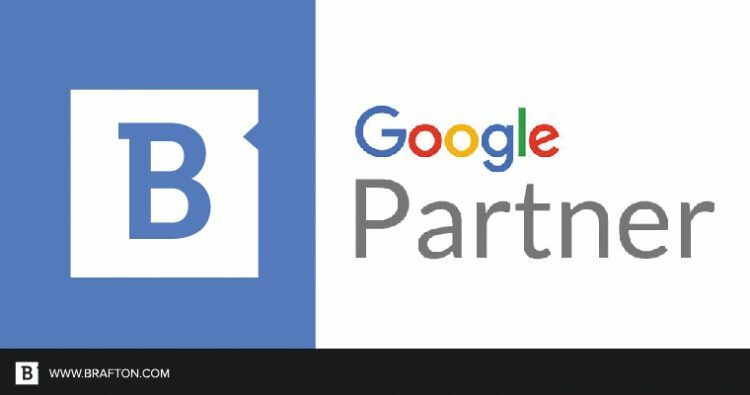 Brafton recently reached a milestone in regards to the latter, earning our Google Partner badge for AdWords. We’ve been helping our clients promote their content for some time. From organic and paid promotion on social media to distribution via email newsletters, we’ve aided many clients in expanding their content’s reach. Over the past year, we’ve worked hard on broadening the ways we can offer this to our clients, and AdWords has been instrumental in allowing us to do so. With AdWords, we’ve been able to leverage text ads, display ads, shopping ads and video ads to do great things on behalf of our clients. When our B2B clients’ target audiences search for the keywords clients care about, we can direct qualified traffic to our clients’ landing pages that host sleek eBooks and white papers, helping generate qualified leads. When our startup clients need visibility, we can direct prospects to exciting blog posts with targeted display advertisements. When our services clients have just finished their latest video project and are looking to get the word out, we can do so with video ads on YouTube. When our eCommerce clients are looking to push their products further, we can integrate their product feeds so shopping ads appear in search results, and we can remarket to cart abandoners so the products they were considering stay top of mind. There are so many possibilities, and we’re excited to be able to offer them. Earning our badge is important to us because it acknowledges and represents the evolution of Brafton as an agency. While content has been and continues to be our core focus, the scope of content marketing has expanded. This is a proud example of how Brafton keeps pace so we can continue to offer our clients the best in content marketing. The Google partner badge indicates the owner of the badge has passed the necessary Google AdWords certification exams and is fully up to date with the latest product knowledge. The second tier of Google Partners is Premier Google Partner. Brafton is currently qualified for the Partners badge, and may explore a Premier Partnership down the road. How do you become a Google Partner? Have at least one employee be Google Analytics certified. Have utilized the AdWords platform for a continuous 12-month period. Have spent at least $10,000 USD over the most recent 90 days. Earning the Google Partner badge is no small feat. Brafton will now appear when potential customers search for partners in the areas Brafton is specialized in. There are currently 11 certified employees at Brafton. David Behuniak is a Content Marketing Strategist who inexplicably ignores most of his social media profiles. He has a background in digital marketing and advertising, but is also a mediocre musician.